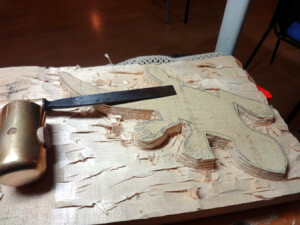 Wood carving is an incredibly satisfying craft. 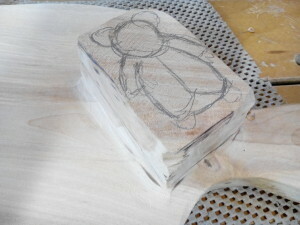 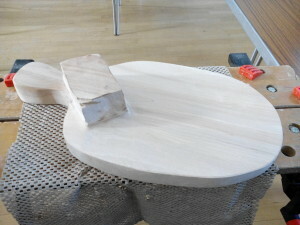 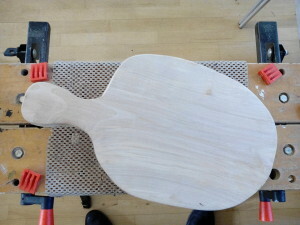 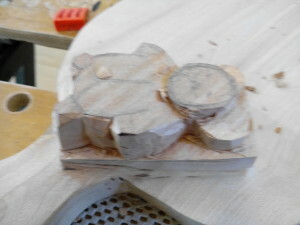 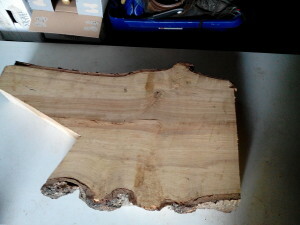 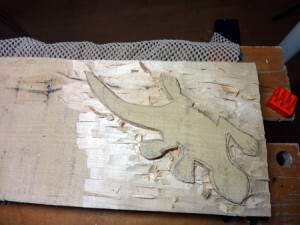 I have enjoyed the simplicity of taking a block of wood, a chisel, and an idea to create a 3D object. 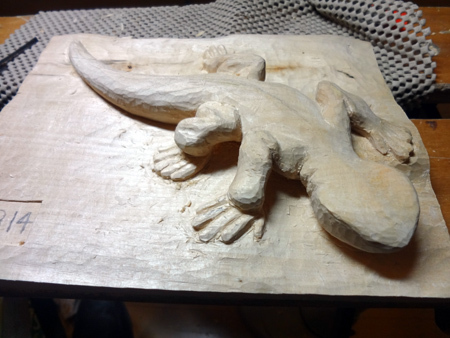 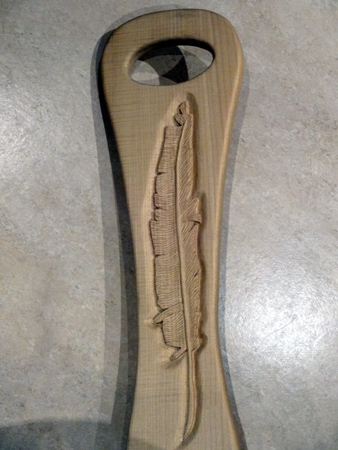 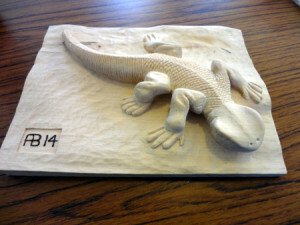 I made this at woodcarving weekend with a group of likeminded carvers. it began as a slice of silver birch bought from the local National Trust wood fair last year, where they sell off wood cut down as a party of their tree management. 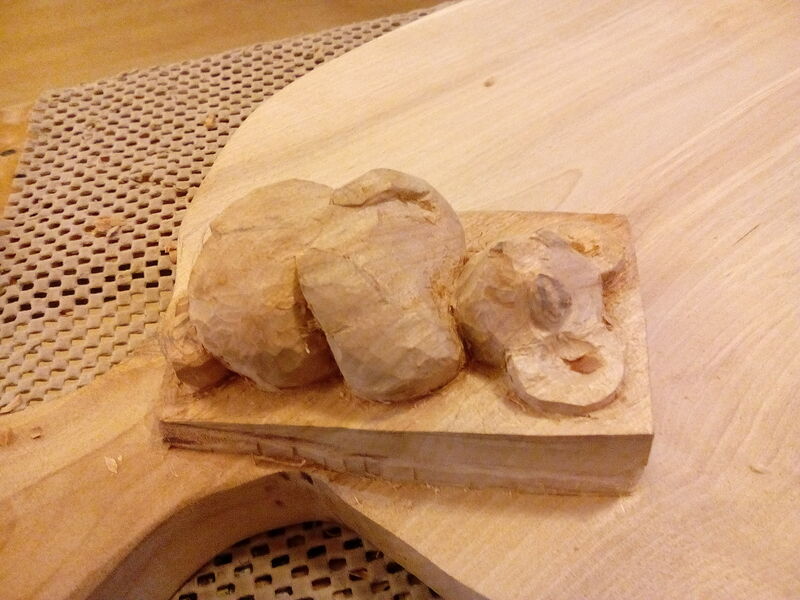 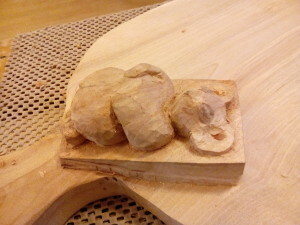 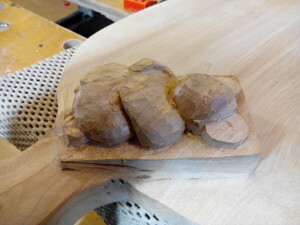 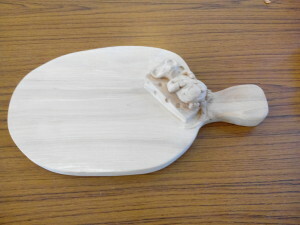 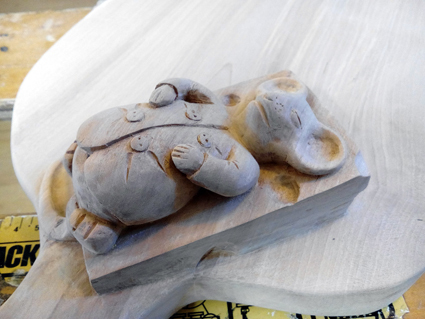 It is a cheeseboard made from a single solid piece, the feature being a section carved into a cartoon type mouse lying asleep on a slice a cheese. 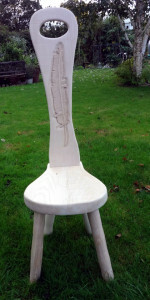 I made this spinning chair for my wife. 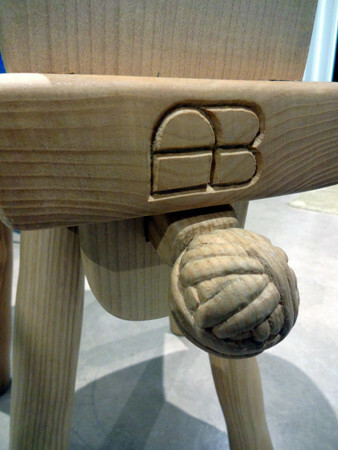 It is specially shaped so that she can sit squarely up to the spinning wheel at a height that allows her to work the wheel in a comfortable way. It was made from 2 slices of tree: sycamore for the back, and ash for the seat and legs, bought from the local National Trust wood fayre as a part of their tree management. The legs were my first attempt at wood turning. It has a feather carved into the seat back, and a ball of yarn into the wedge used to hold the seat back in place.